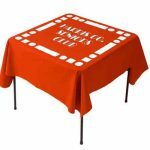 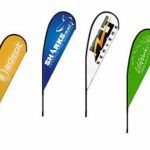 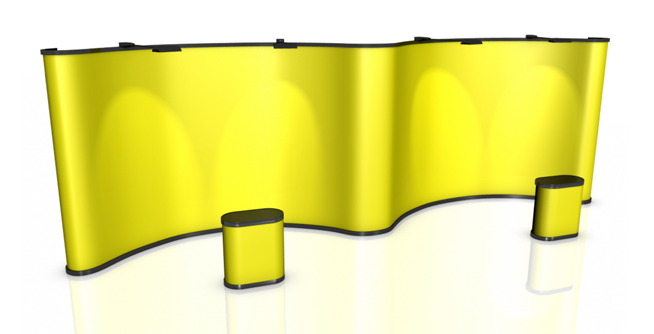 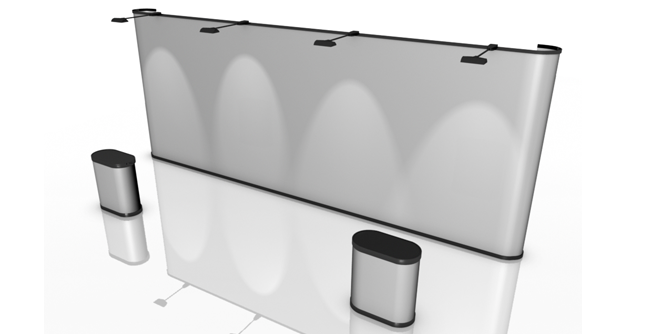 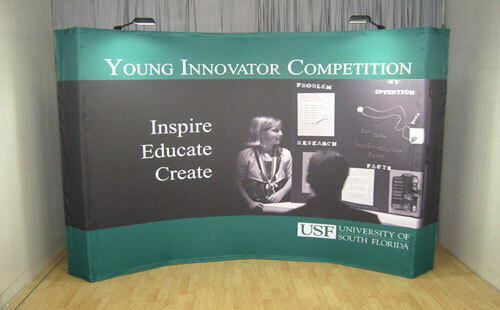 Need an Affordable, Versatile Fabric Pop-Up Display? 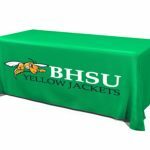 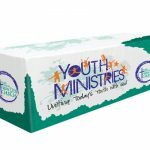 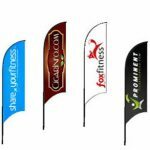 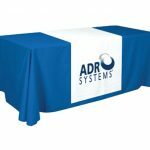 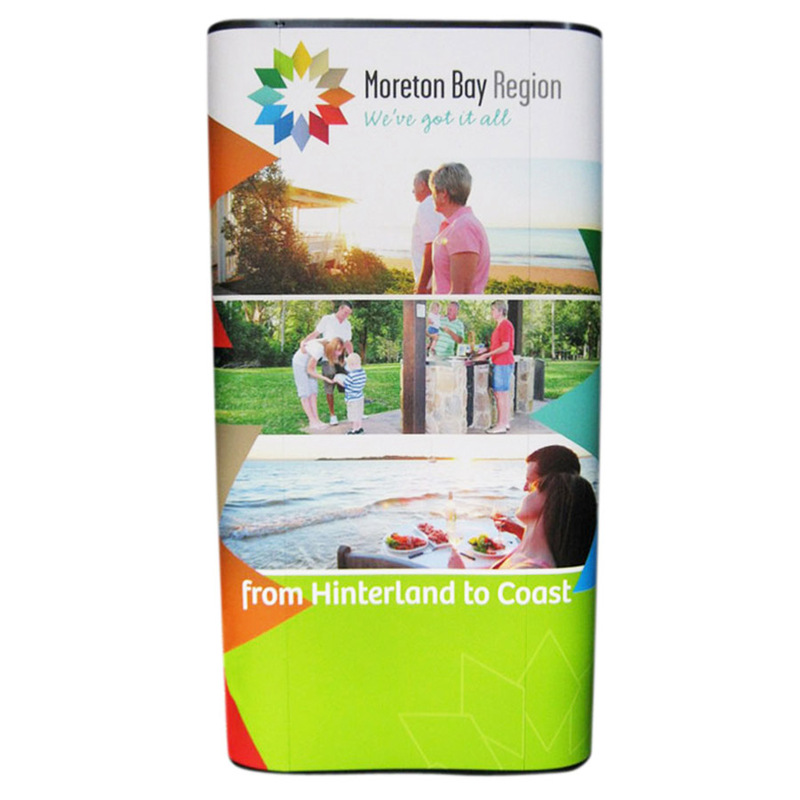 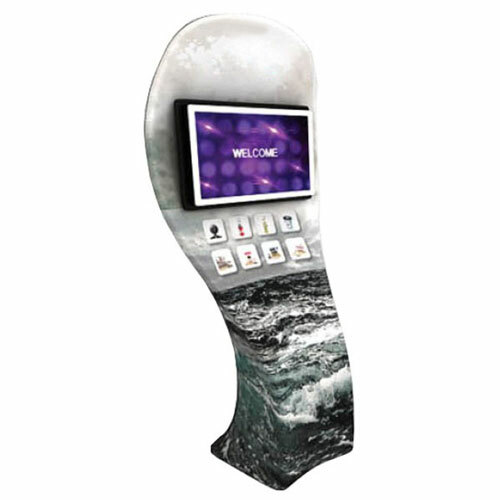 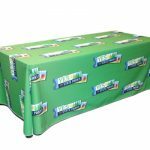 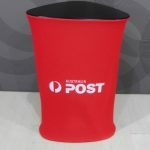 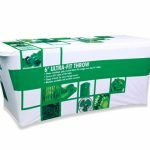 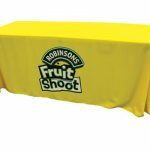 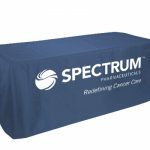 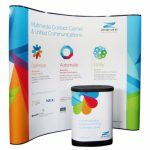 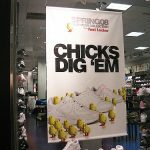 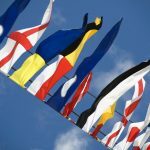 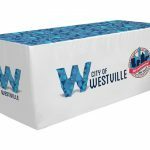 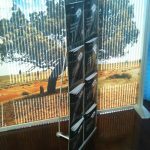 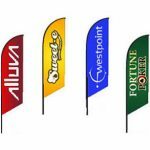 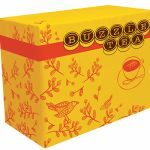 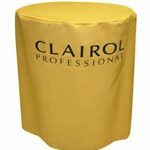 A fabric pop-up display is a very useful tool to have when you have an important message about your products and services, or your business in general, that you want your clients and the public to know. 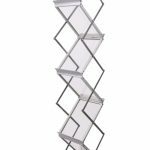 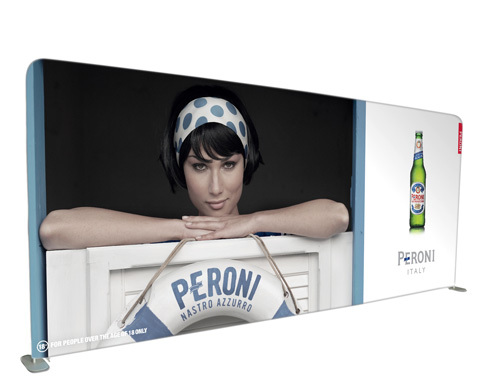 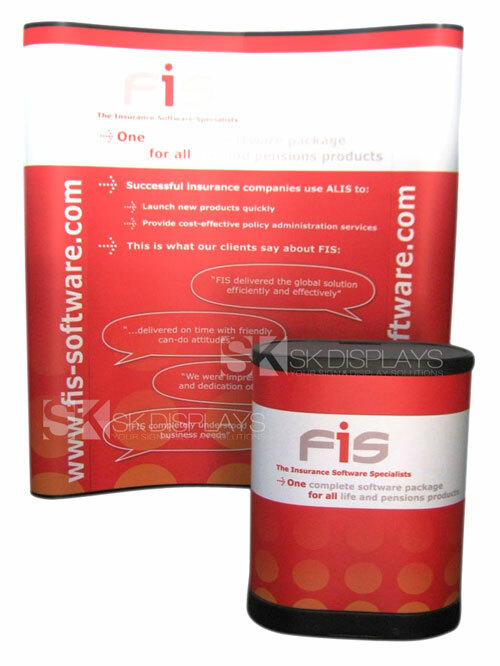 Such a display is designed to catch the eye so you can push your message across. 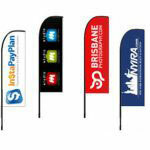 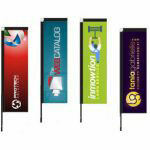 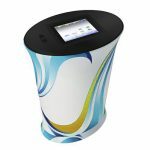 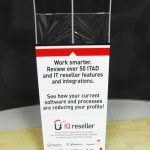 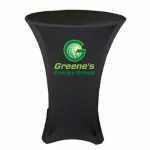 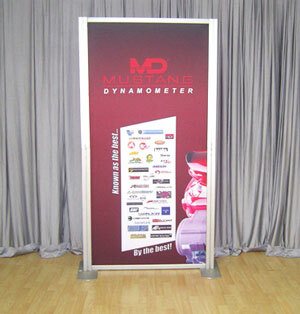 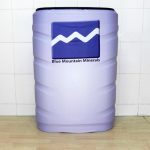 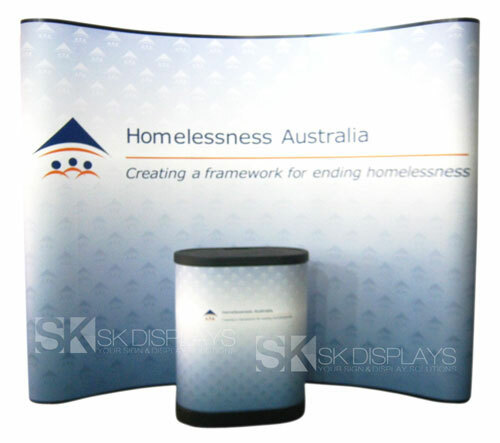 It is an ideal tool for exhibiting at trade shows, expos and conferences. 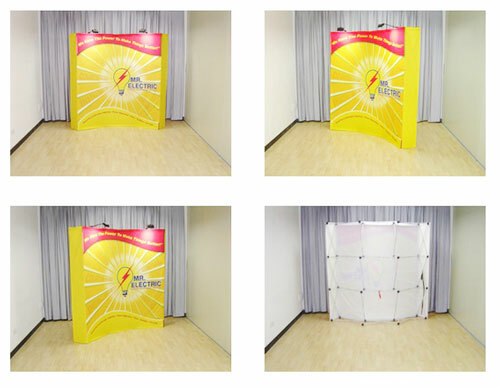 You can also use it as a visual board or memo board at your workplace. 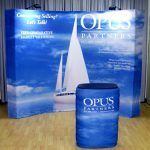 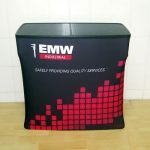 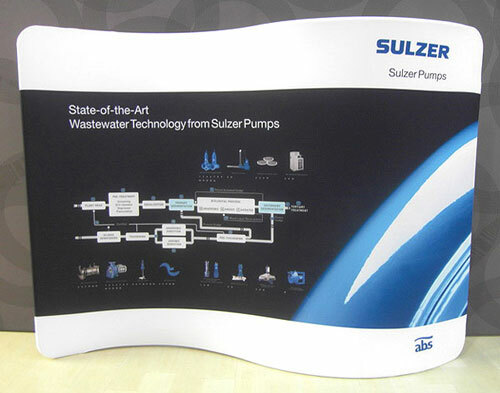 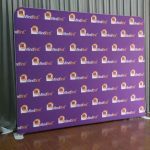 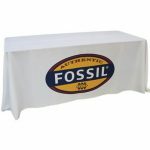 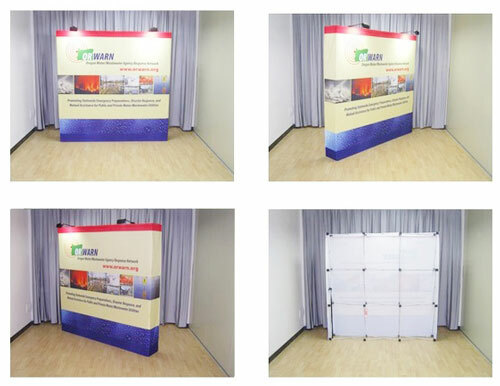 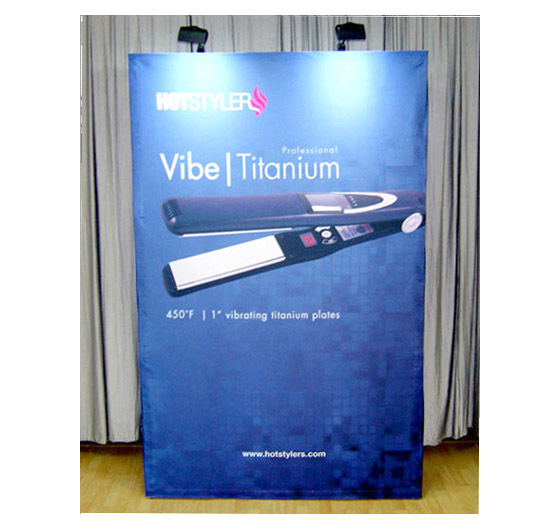 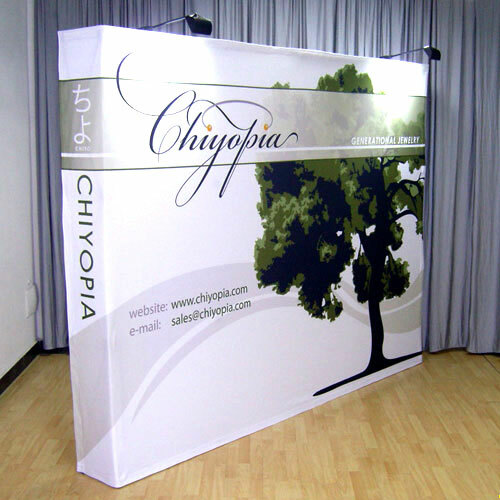 Our fabric pop-up display looks professional and is made of high-quality materials. 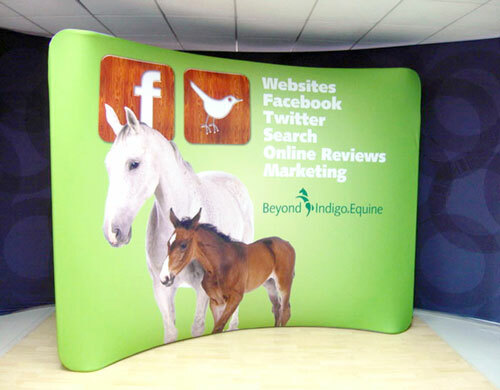 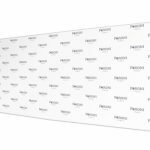 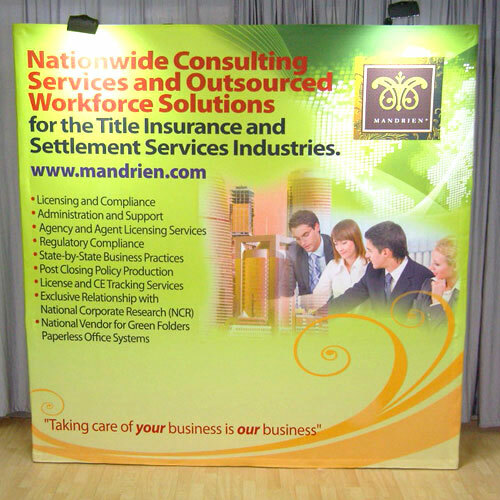 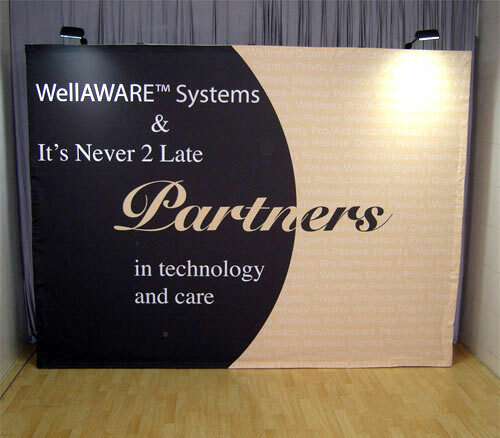 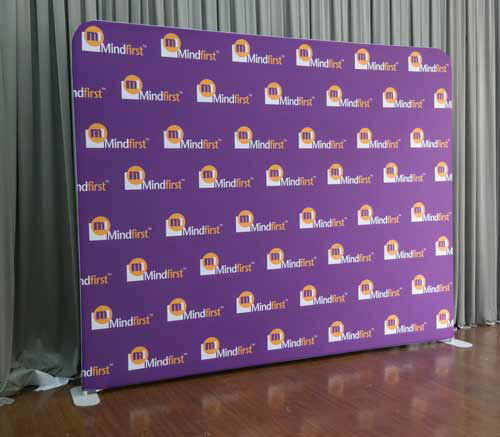 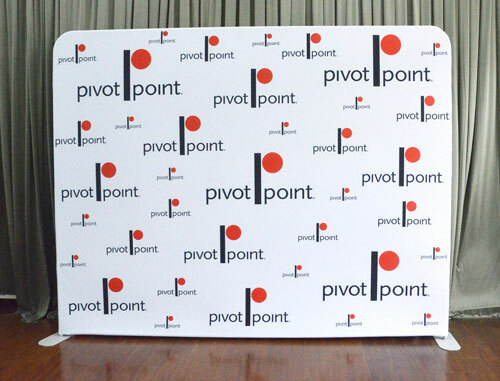 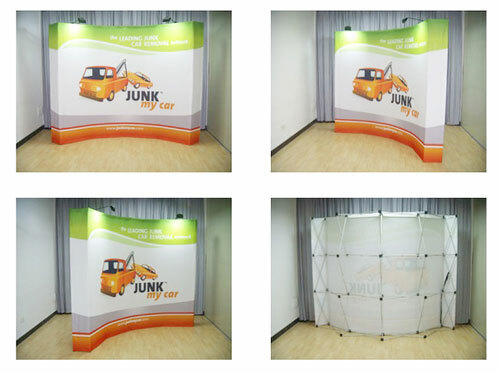 This 3×4 pop-up fabric wall consists of a straight frame and a fabric graphic. 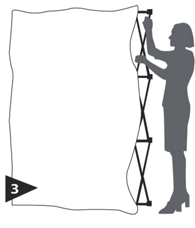 The frame stands three cubes high and three cubes wide. 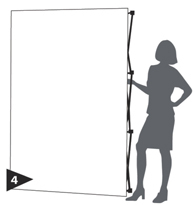 It measures 2997mm/W x 330mm/D x 2260mm/H. 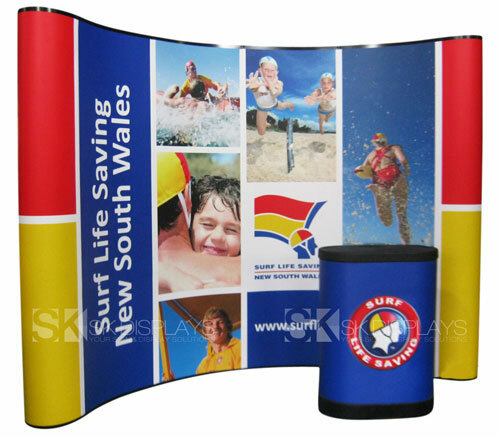 The fabric graphic is rendered in full vivid colour and comes already attached to the frame. 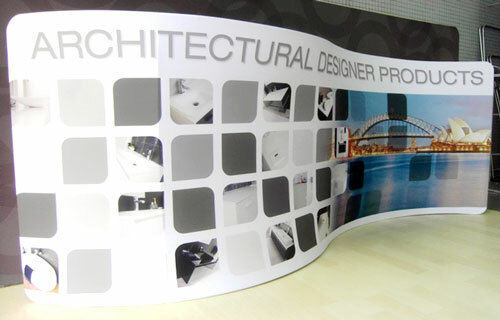 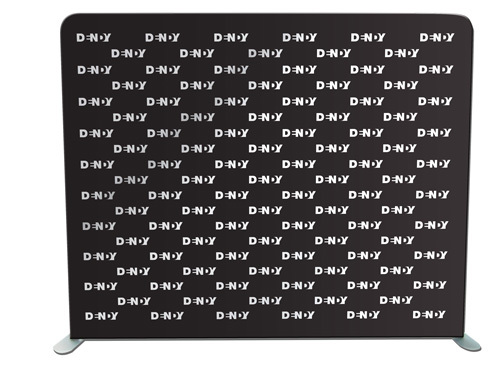 You can order it single-sided or double-sided, depending on your display needs. 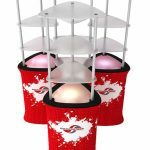 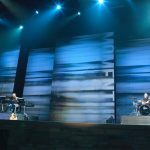 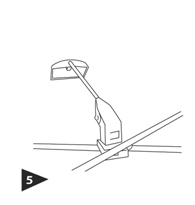 There are optional halogen lights that you can buy if you want to focus a spotlight on your graphics. 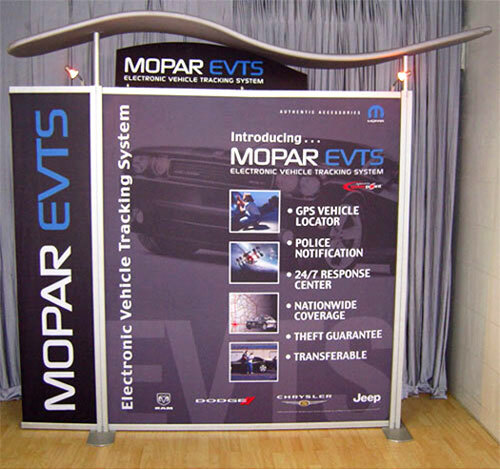 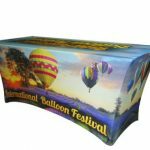 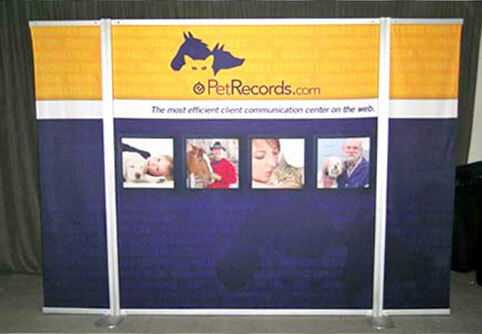 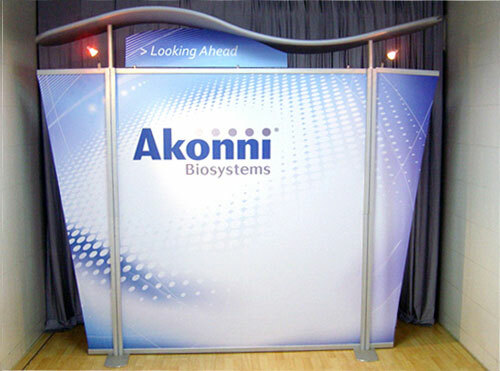 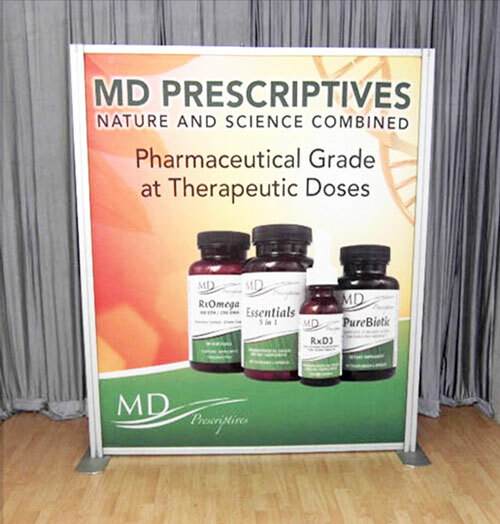 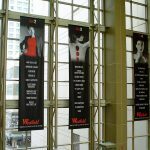 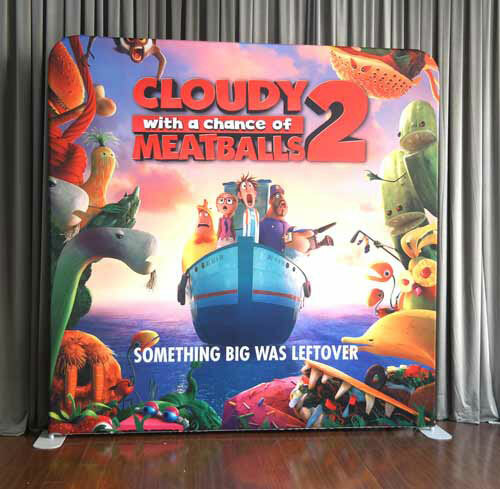 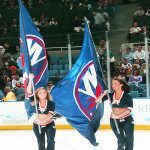 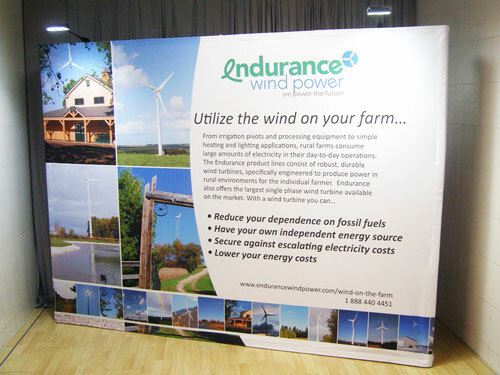 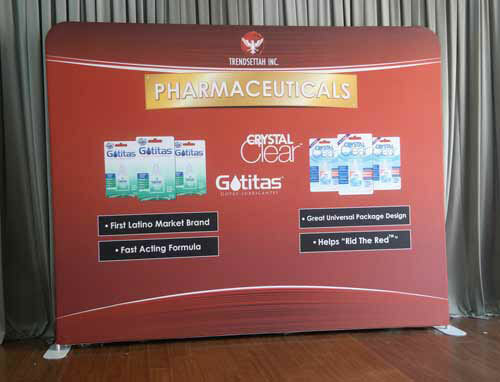 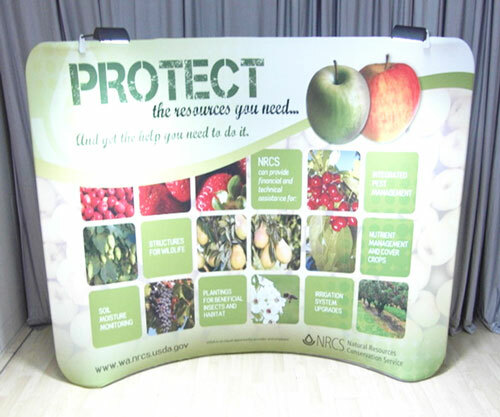 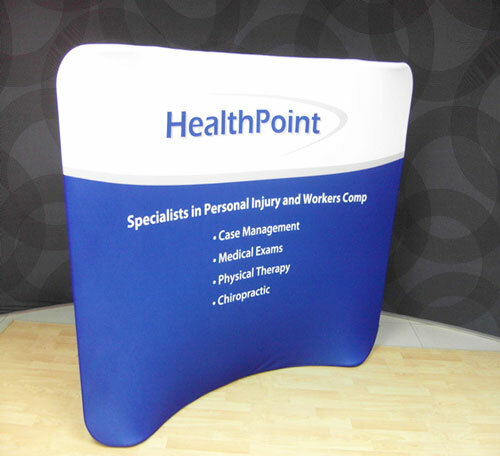 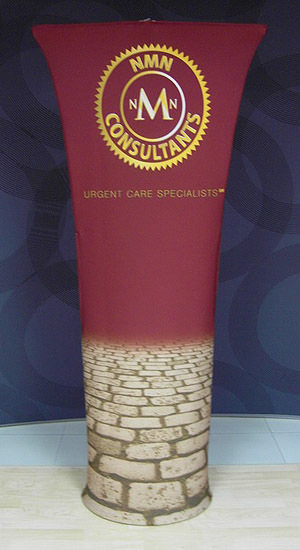 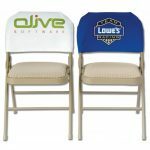 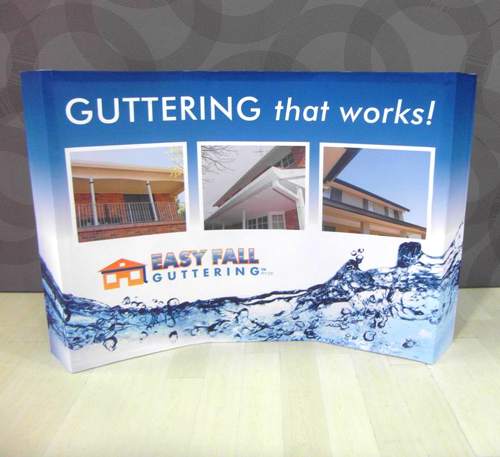 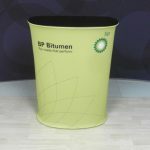 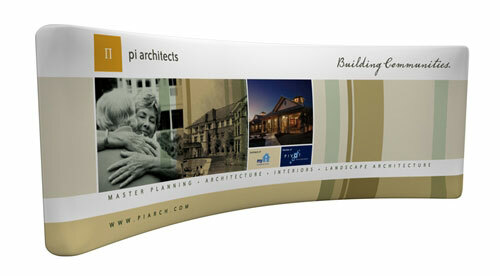 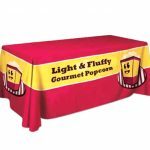 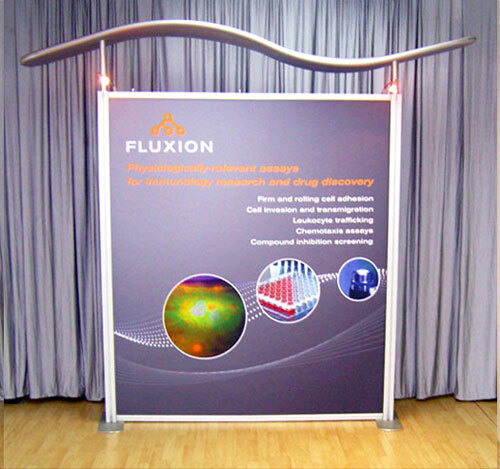 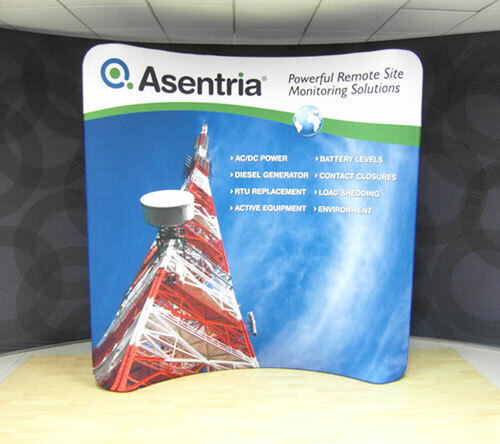 Our fabric pop-up displays are sturdy and durable. 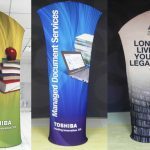 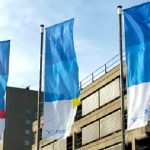 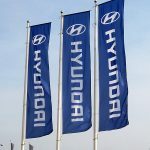 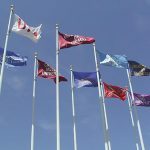 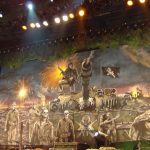 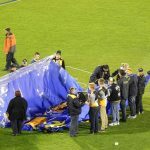 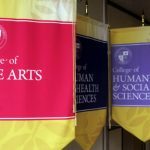 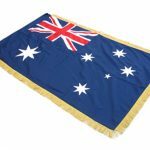 They are also reusable – if you need to use a different display, all you need to do is to replace the existing fabric graphic with a new one. 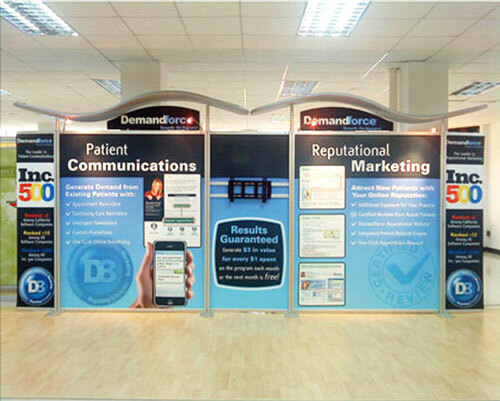 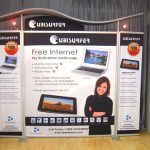 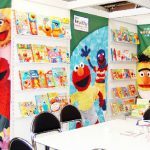 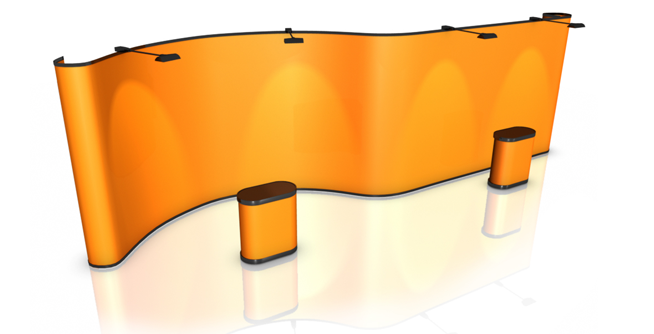 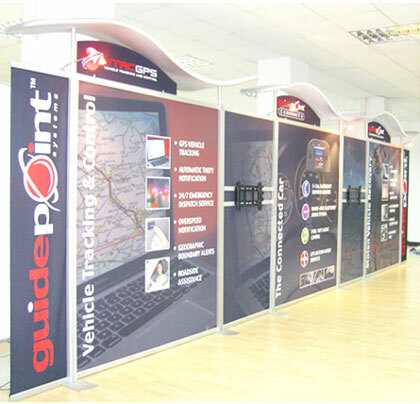 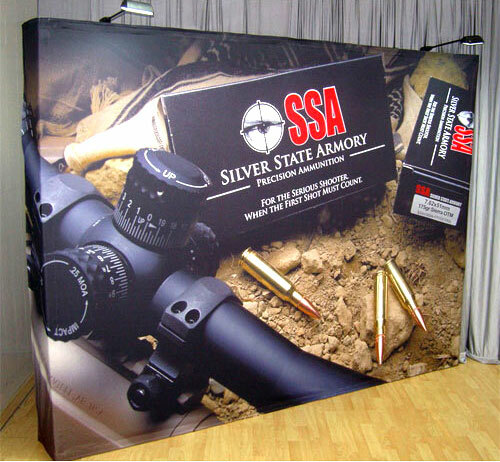 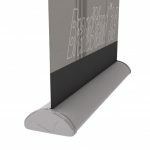 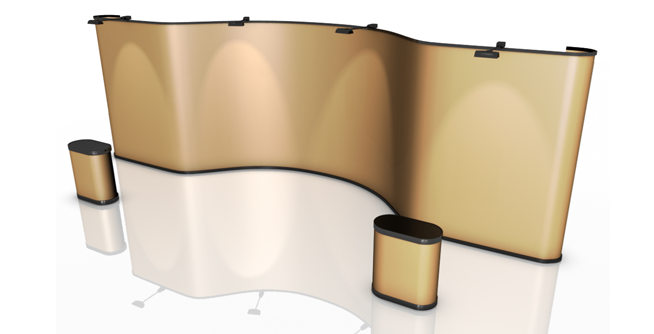 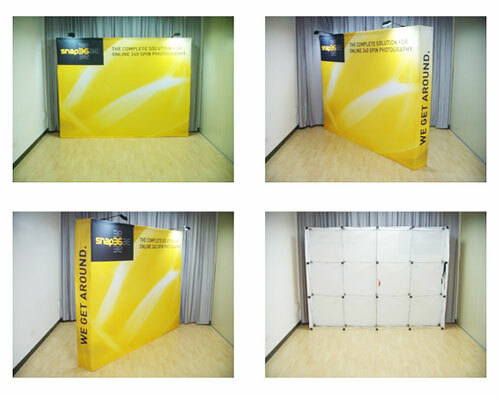 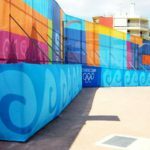 These 3×4 pop up fabric walls are definitely the sensible and affordable solution to your display needs. 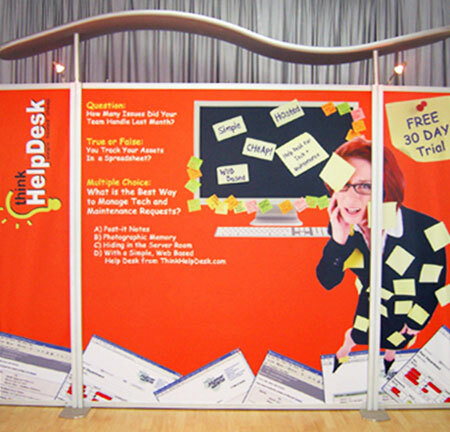 Additionally, this fabric pop-up display is very easy to put up and install. 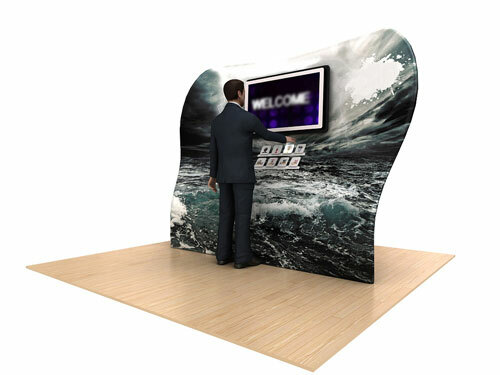 You only need five minutes to set up this display. 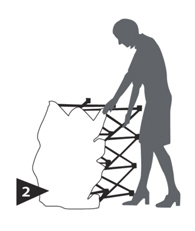 This gives you more time to take care of other important tasks. 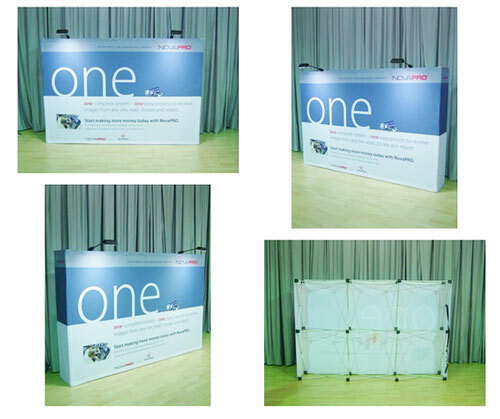 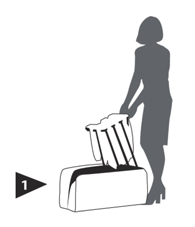 To set up this display wall, you simply have to take the contraption out of its carry bag. 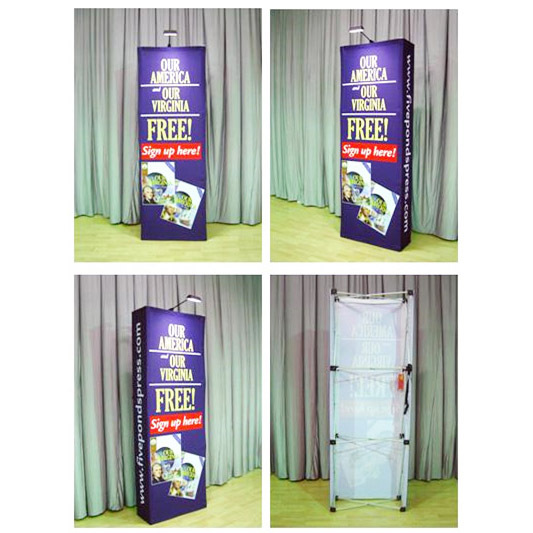 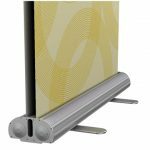 Because the fabric panel is already attached to the frame, all you need to do is to pop up the frame so it stands at its full height and width. 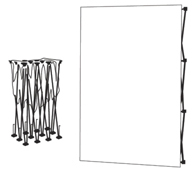 So the rig stays secure, attach the hooks at the back of the frame and let out its bases. 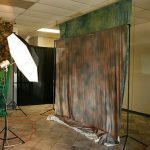 Afterwards, smoothen the fabric panel and keep it in place by sticking together the Velcro strips attached to both the fabric panel and the frame. 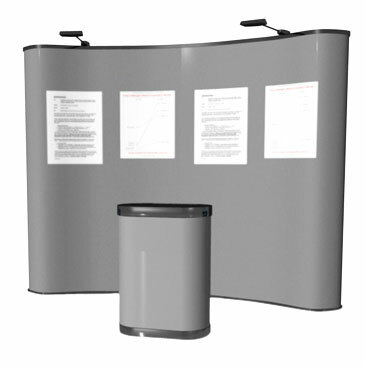 Our fabric pop up display will certainly help you get the word out about your products and services, or whatever message you wish to convey to your public. 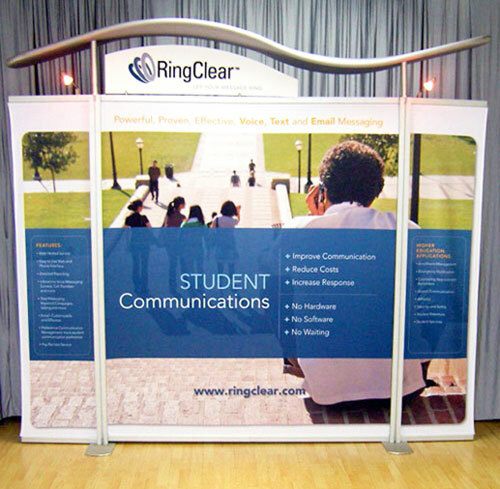 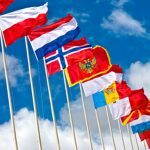 Call us right now to find out more about these display solutions.